peek >> << backSoutheast corner of Half and M streets, Aug. 2005. 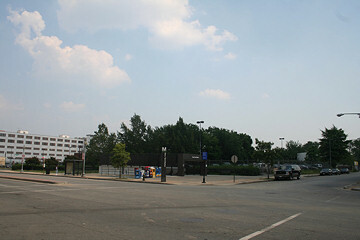 July 18, 2006 - The southeast corner of Half and M streets. 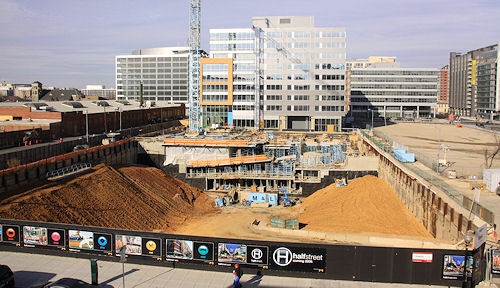 The Navy Yard Metro station west entrance is here, having opened in 1991. March 17, 2019 - 55 M, finished. 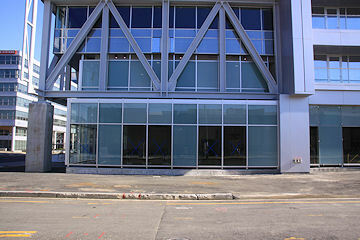 The glass on the ground-floor corner encloses the entrance to the subway station. 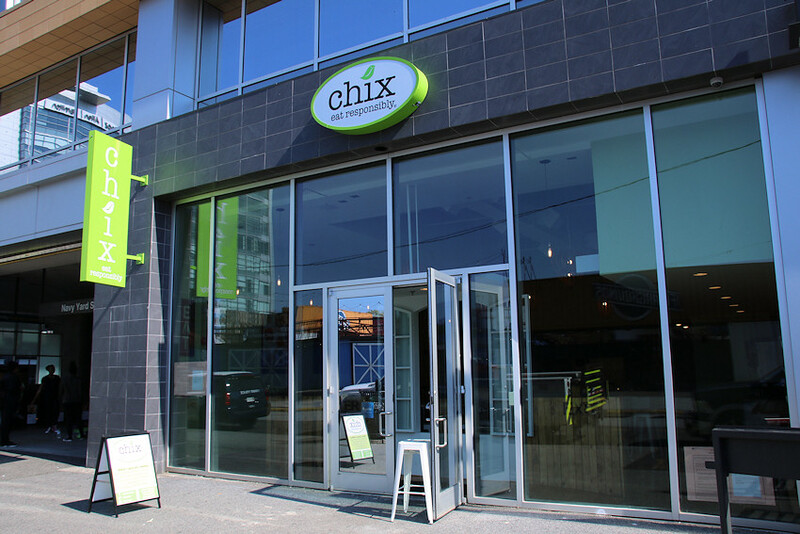 Oct. 16, 2016 - It took more than seven years, but in September 2016 the retail space next to the subway station entrance was finally filled, when Chix opened for business. 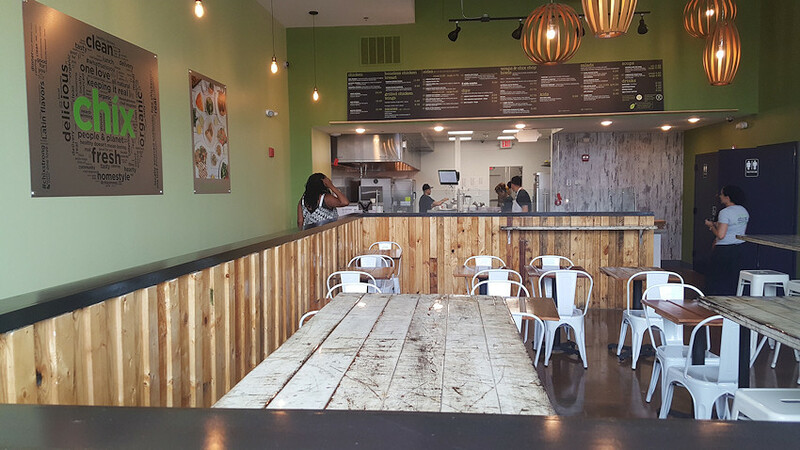 Unfortunately, Chix closed the following summer. Sept. 21, 2016 - The Chix interior. 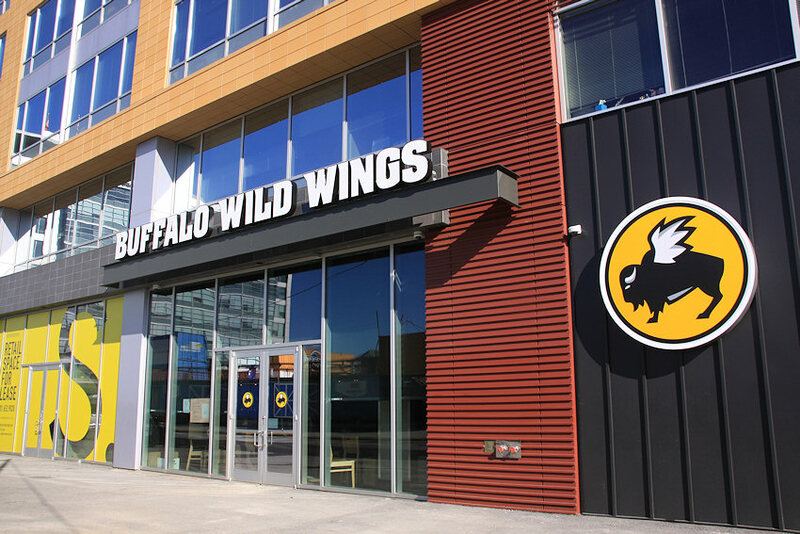 Nov. 8, 2015 - A few months earlier, national chain Buffalo Wild Wings arrived in the building's southern Half Street retail space. 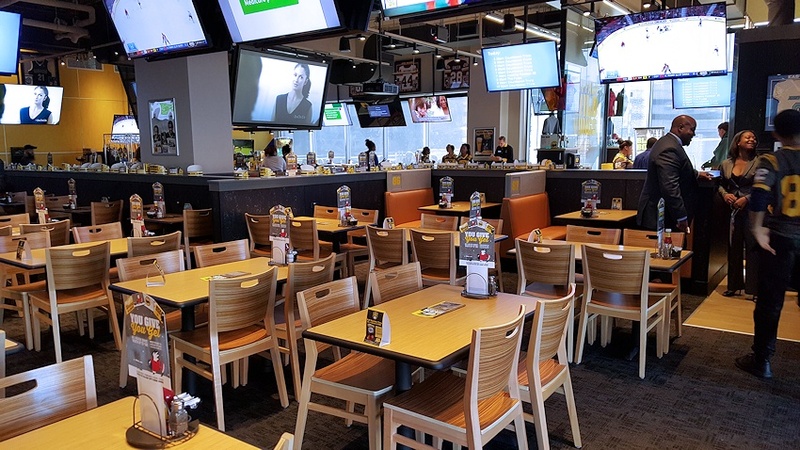 Nov. 16, 2015 - The Buffalo Wild Wings interior. See more photos from its opening morning in this gallery. January 25, 2009 - The same location, with the renovations of the Metro station completed. While the escalators are still in the same spot, the entrance to the station is now about 30 feet south down Half Street. March 17, 2019 - The same location, with 55 M having changed landscape considerably (along with 20 M to its north and the clearing of the block to its east. March 17, 2019 - The same location, completed. 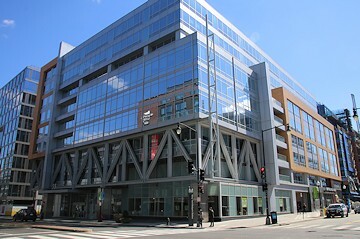 Nationals Park is visible at the end of the street. WMATA spent $20 million to upgrade the station's west entrance to handle 15,000 visitors an hour (the same as the Stadium/Armory station), increasing the number of fare gates and vending machines, adding two elevators and relocating the station kiosk, fare gates and fare vendors from the mezzanine to the street entrance. It reopened on March 28, 2008. January 6, 2019 - The same location. 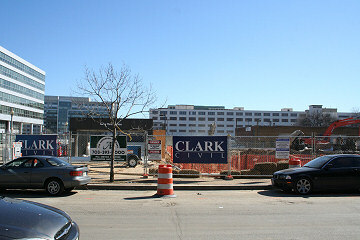 January 25, 2009 - The same location, with construction nearly complete.